The beverage pitcher has a special lip design to allow for easy pouring from front or sides without splashing, while an ergonomic handle with a convenient thumb grip provides comfortable control while pouring. 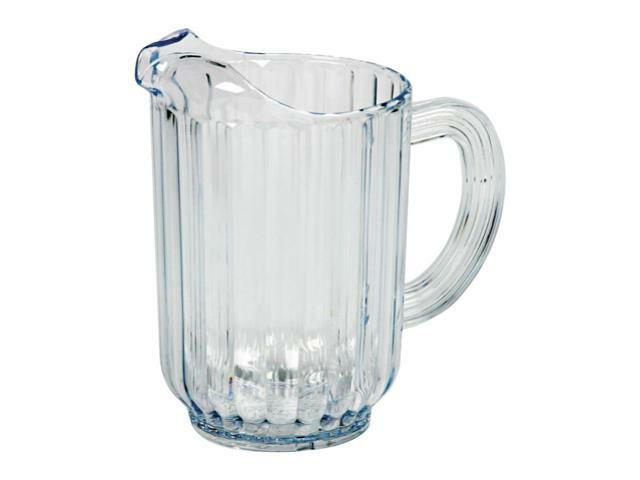 Use this pitcher for a variety of uses including serving water, iced tea, lemonade, or even beer for any event. Since this pitcher is made of durable plastic, it is ideal for outdoor catered events since it won't break on hard cement or patio and deck areas. * Please call us for any questions on our plastic pitcher 60 oz. rentals in Mishawaka, serving South Bend, Elkhart, Niles MI and surrounding communities in Northern Indiana and Southwest Michigan.